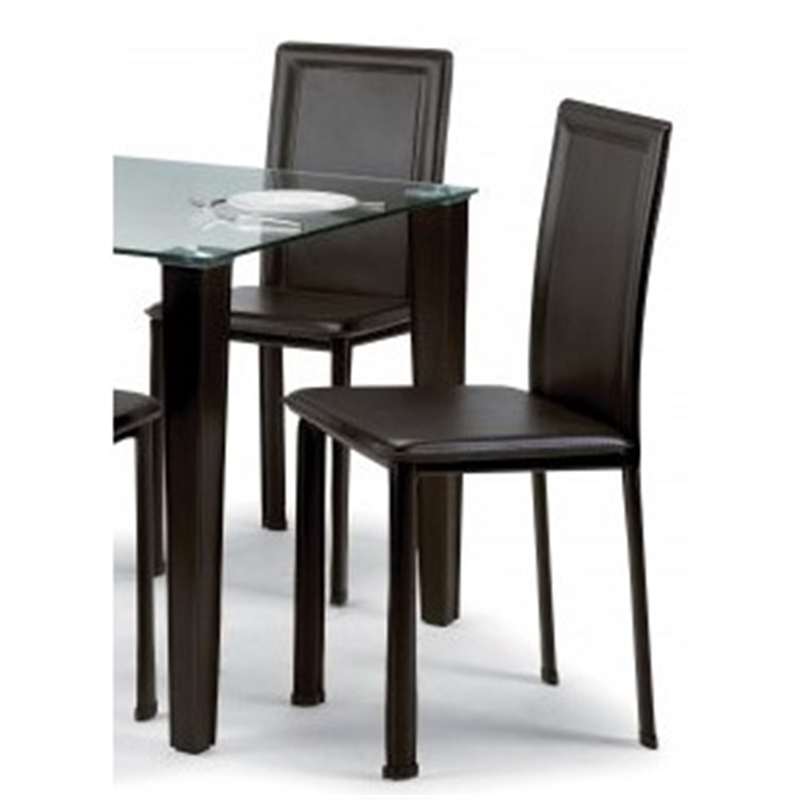 The Dark Brown Faux Leather Dining Chair is a sleek and stylish feature for any home. The rich dark brown faux leather legs are built to last and the high back support ensures a comfortable sitting position. 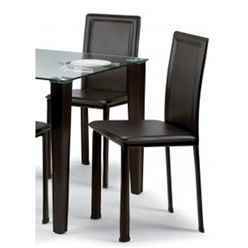 The perfect accessory for our Square Glass and Faux Leather Table Only. This product requires assembly.